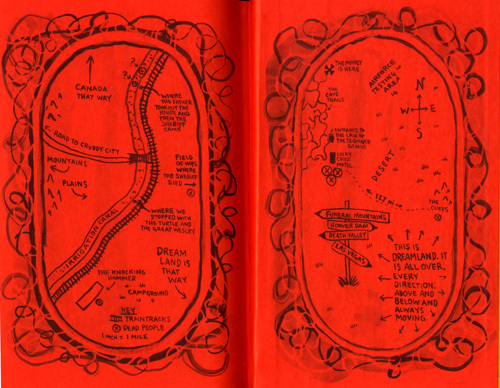 Before showing the pilot script of his revolutionary show Twin Peaks to executives at ABC television, director David Lynch drew a map to give them an idea of where the action would unfold. The peaks of the title, and the town they name, are clearly visible as white-topped mountains rising out of the modeled landscape. By creating a sense of place, Lynch made the town all the more believable. 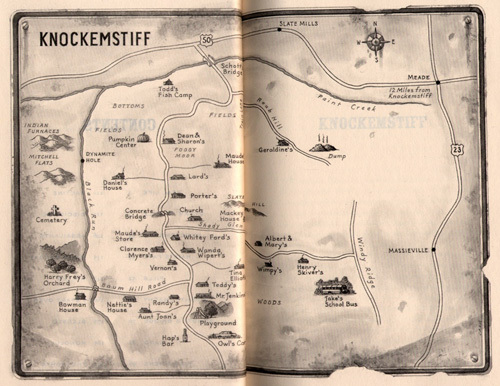 A straightforward map would have been dull by comparison and might have suggested that there was something intrinsically interesting avout the geography of the place. What was much more important to convey was the mood of the story, and it’s nicely captured in Lynch’s quirky drawing. 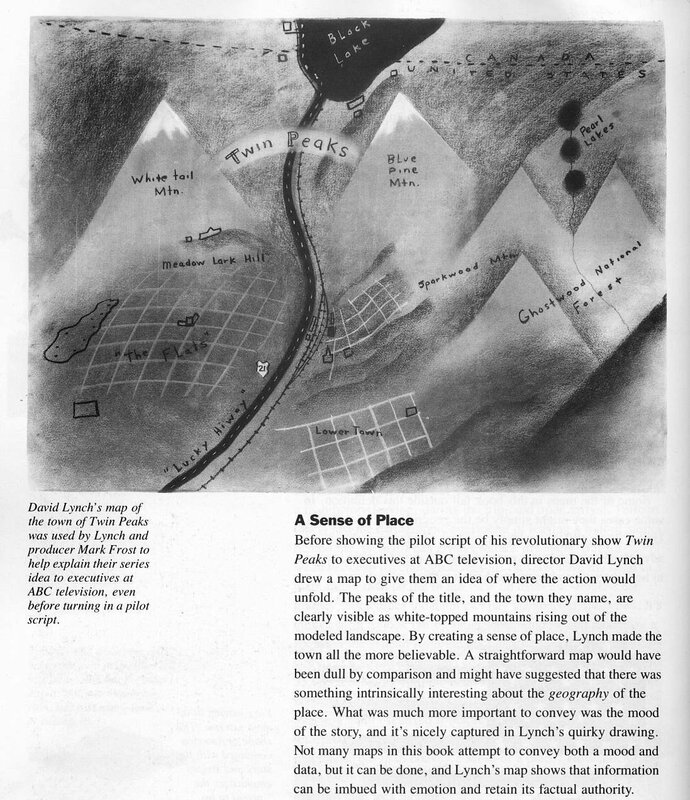 Not many maps in this book attempt to convey both a mood and data, but it can be done, and Lynch’s map shows that information can be imbued with emotion and retain its factual authority. 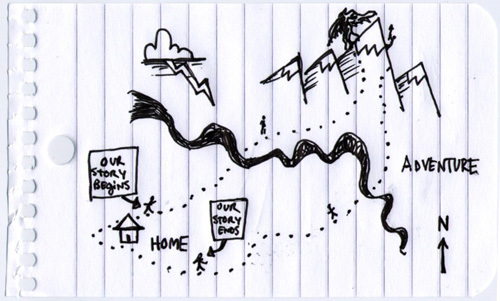 We knew where everything was, and it helped us decide what mood each place had, and what could happen there. Then the characters just introduced themselves to us and walked into the story.